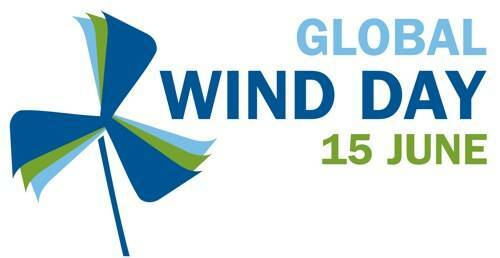 Global Wind Day is a worldwide event that occurs annually on 15 June. It is organised by EWEA (European Wind Energy Association) and GWEC (Global Wind Energy Council). It is a day when wind energy is celebrated, information is exchanged and adults and children find out about wind energy, its power and the possibilities it holds to change the world. In association with EWEA and GWEC, national wind energy associations and companies involved in wind energy production organise events in many countries around the world. In 2011, there were events organised in 30 countries, on 4 continents, including Ukraine. Events include visits to onshore and offshore wind farms, information campaigns, demonstration turbines being set up in cities, wind workshops and a wind parade. Many events happen on Global Wind Day (15 June) itself, but there are also events on the days and weeks before and afterwards. In 2012 there were 250 events around the globe including a very popular photo competition.